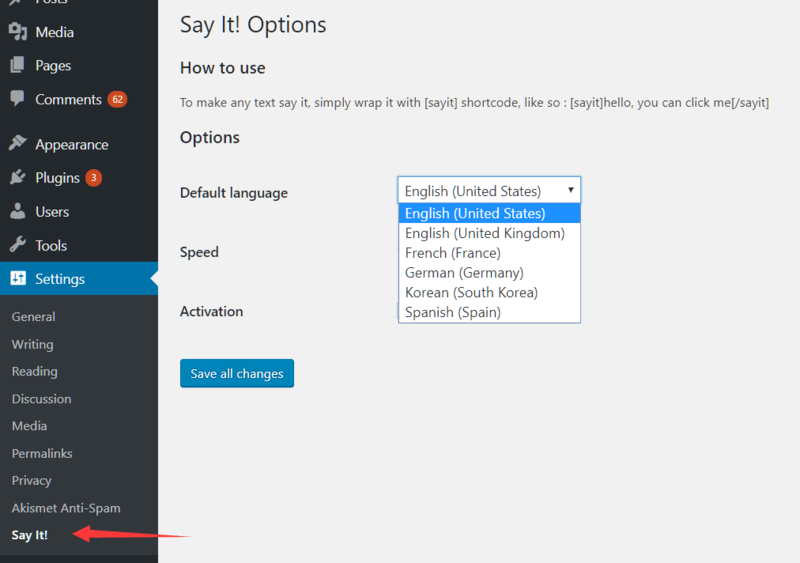 Make Your WordPress Blog Content Speak To You – Say It! Say It! 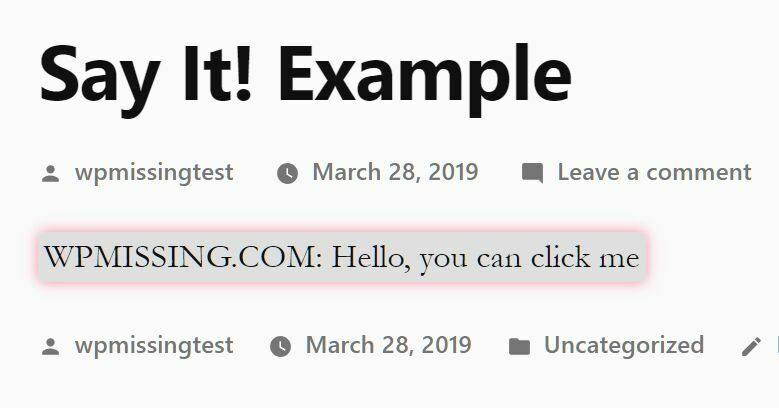 is a text-to-speech plugin for WordPress that makes any blog content speak to you using HTML5 web speech API. 1. Download and upload the zip on the Add Plugins page. 4. 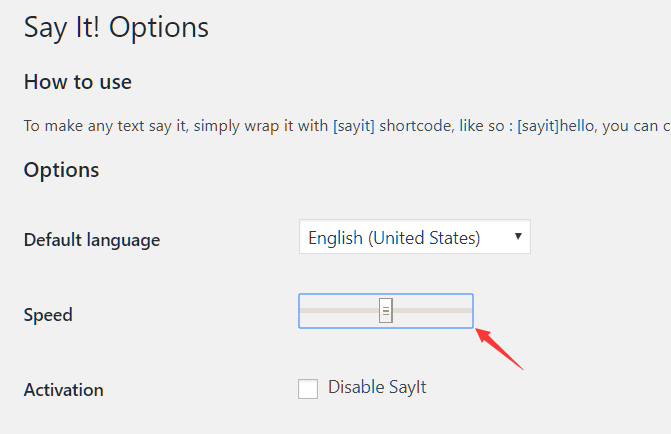 Specify the default language on the Say It! Options page. 5. Specify the speech rate. 7. Click the text to play the voice.